Dirk's straps are made in the Pre-V style. We're still using the original stamps on the leather. 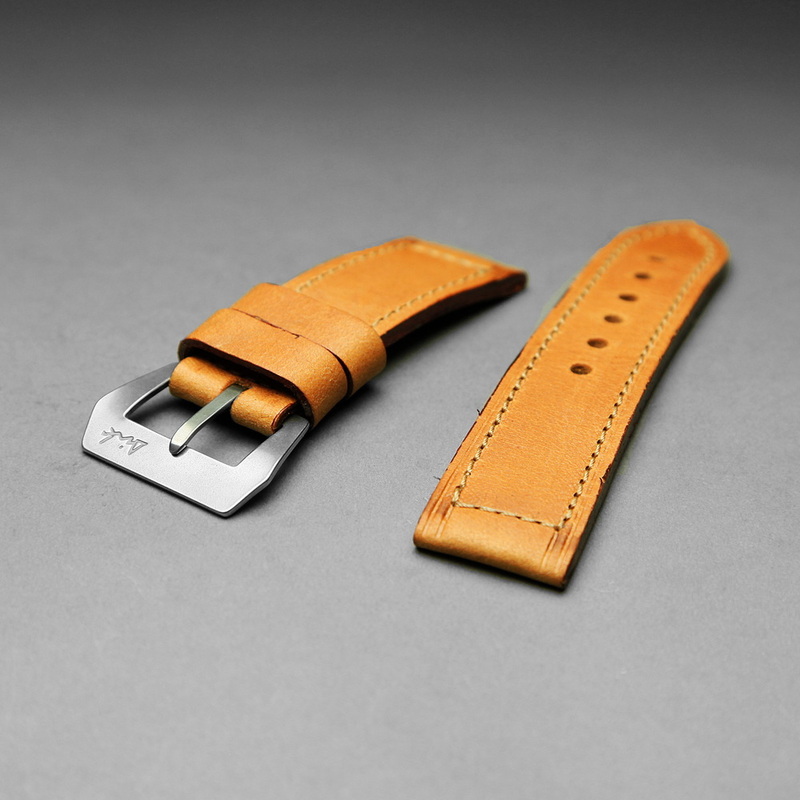 We're still using the original tools & leathers for the straps that came with the 201/A, 202/A and 203/A in 1993-1994. The coined/minted 24mm 'Dirk' buckle is same size & shape as the 1993 originals and produced on the original minting presses. The minting form not only provides the stamp, but also shapes the buckle with those soft-feeling rounded edges.